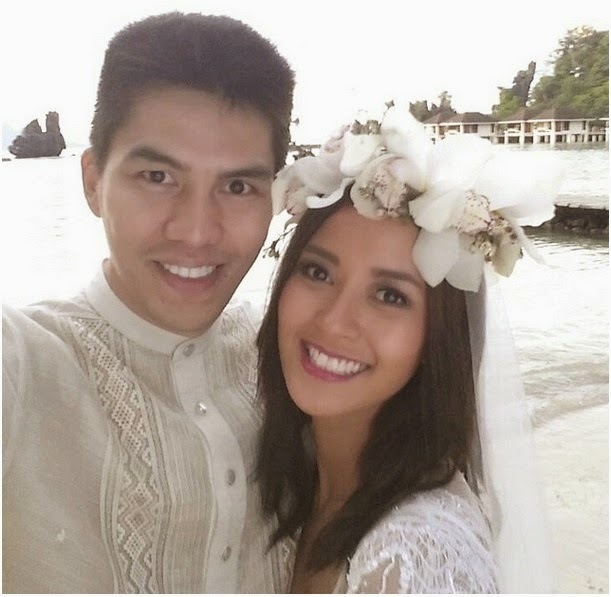 MANILA, Philippines - It's official, Kapamilya TV host Bianca Gonzalez and basketball player JC Intal got married on Thursday, December 4, 2014 at Lagen Island Resort in El Nido, Palawan. The Gonzalez and Intal’s big day is ahead of the announced wedding date supposedly on December 10. Bianca refused to gave details about the event in the previous interviews. “It's the ceremony that we're really not talking about, kasi 'yon ang family only and very private," she said. Around 50 guests were invited to the ceremony which started at 4pm on Thursday. Congratulations Mr. & Mrs. Intal! Welcome to the club,” Cheska Kramer, wife of cager Doug Kramer, said on Instagram with a photo of the newly-wed couple. Note: TheSummitExpress will update this page for the official video coverage once available online. Intal proposed to Gonzalez at the Ninoy Aquino International Airport (NAIA) March this year with the help of their family and close friends. The two have been a couple for over three years now.